Meet some of the local Chefs who will be cooking up some fun at the WCF’s annual fundraiser and community event on Sunday Nov 19. 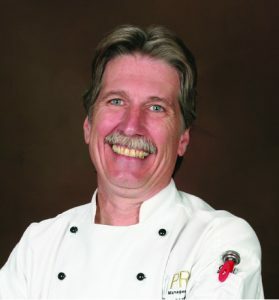 Award winning Executive Chef Joe Nagel brings over 30 years of experience to the food industry and was named Chef of the Year in 2001 by the American Culinary Federation. A graduate of St. Paul College and long standing member with the American Culinary Federation, Chef Nagel has delivered quality food and beverage for the PGA tournaments over the past 15 years and now devotes his culinary talent to leading on and off premise catering with Envision Catering and Hospitality in Oakdale, which is also host to, and a generous sponsor of, the Woodbury Community Foundation’s Chef Fest. Chef Nagel’s area of expertise is in gourmet presentations and high volume production. He is detail oriented and passionate about working with clients to fulfill their individual culinary needs. The Woodbury Community Foundation is grateful to Chef Joe and the team at Envision who will help bring this event to life in less than two weeks! Get your tickets today. THANK YOU ENVISION FOR YOUR SUPPORT OF CHEF FEST!